I’ve been reflecting on Halloweens of my past, and their tends to be a common scenario: I spend all day with last minute costume details, making sure we have candy for the trick-or-treaters, and taking our own kids out, that there is rarely time to even think about dinner, let alone make up something glamorous. If you end up in a similar situation, let me introduce you to some easy, quick and festive ideas! 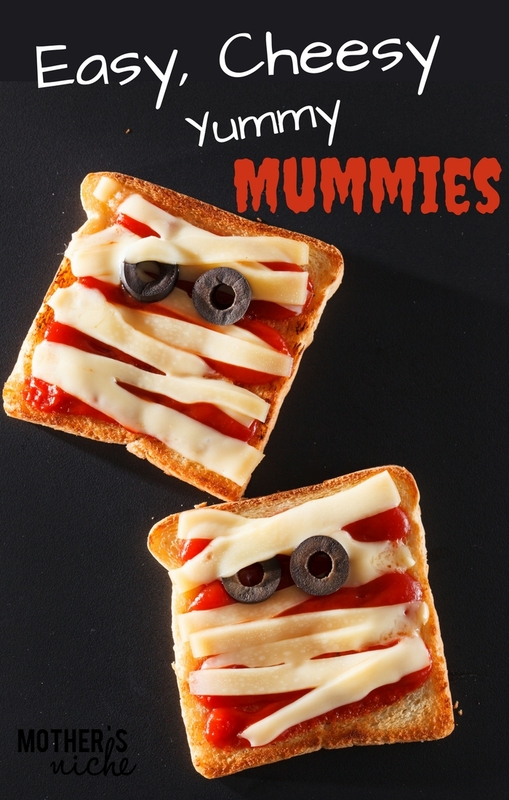 Today’s idea: Easy, Cheesy, Yummy Mummies! So easy and what kid wouldn’t adore seeing these come out of the oven! add pepperoni and olives, or just olives for eyes! Throw in the oven on Broil for a minute or two (WATCH THEM!) AND you are DONE! Who’s in CHARGE when MOM and DAD leave?